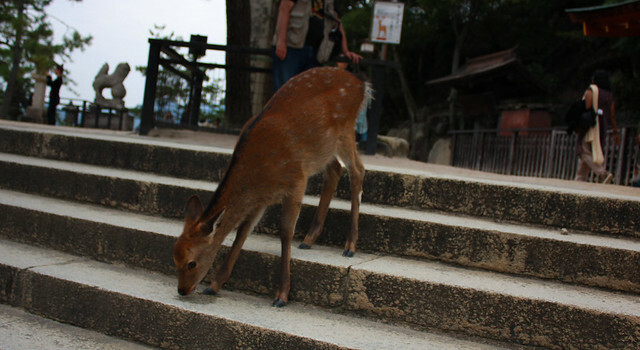 This entry was posted in Japan, Travel and tagged Animals, Bambi, Biscuits, Bite, Bitten, Crackers, deer, Deer Biscuits, Humane, Itsukushima, Japan, Messenger of the Gods, Miyajima, Nara, Rice Crackers, Sacred, Sika, Starving, Tame on December 8, 2014 by motleymercury. ^ Torii gate at Itsukushima shrine. Fun fact: it does not float, nor is it buried in the sand. The pillars holding it up are just so gosh darn heavy that they sit on the sea bed and stay put. 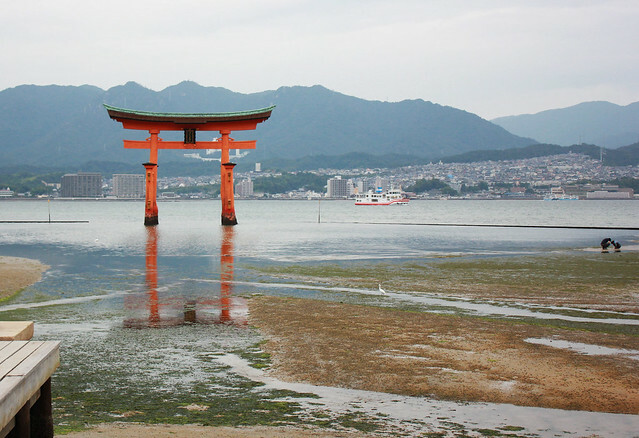 This entry was posted in Japan, Travel and tagged Beautiful, deer, Dusk, Ferry, Floating, Gate, Island, Itsukushima, Japan, Miyajima, Mysterious, Red, Sake, shinto, shrine, Torii, Travel on November 25, 2014 by motleymercury. This entry was posted in Japan, Travel and tagged Buddhism, buddhist, carp, castle, deer, edo, food, Fuji, Fukuyama, himeji, Hiroshima, iwakuni, Japan, japanese, Kawaguchi-ko, Kyoto, maple, Miyajima, Mt. Fuji, Nihon, nihongo, Ponyo, shinto, shrine, Tokyo, Tomo-no-ura, tourist, Travel, vegetarian on October 19, 2014 by motleymercury.